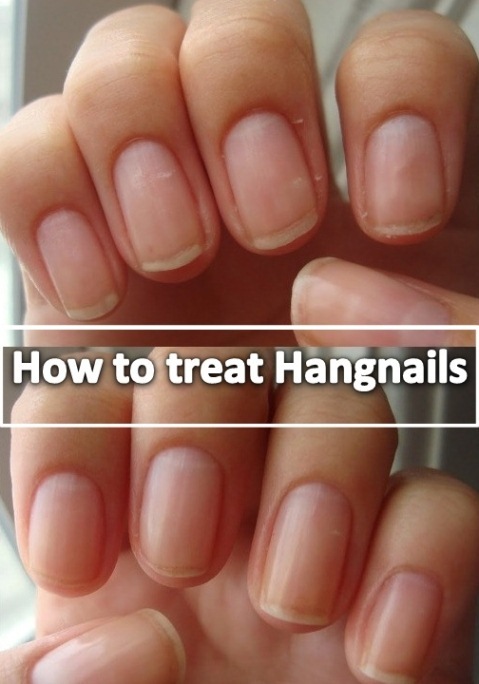 You often go through the hangnail problem in which you feel pain or stretching while running your fingers through your hair, immense pain while touching cloth. This frustrating condition is known as hangnail. Sometimes small piece of skin is hanged around the cuticles of your nails caused by dryness of the skin and especially during the winter months. Other usual causes of hangnails may be bad type of manicures and using harsh chemicals present in detergents. Commonly, those people who are habitual of nail bite or have malnutrition suffer with this problem. Hangnail can get infection from bacteria, fungi that are the causes of swelling and redness. If we talk for the general treatment, so we will come to know that petroleum jelly in this case would be best treatment for this problem. You can also apply lip balm on the affected nail bed and leave it overnight as to give your skin a kind of moisturizing effect. Vitamin E oil is good for this purpose because it can moisten the nail beds. Apply pure vitamin E oil on the hangnail area until it becomes absorbed in your skin. You can also mix vitamin E oil with olive oil, castor oil, jojoba oil and apply on the regular basis. For your ease, you can only drop vitamin E oil on your nail bed after clipping your nails. Make sure that honey will soften the nails and keep your nail bed moisturized long lasting. Honey is a natural moisturizing agent so it helps in attract and retain moisture. Not only it is a moisturizing agent but it also contains anti-inflammatory and antibacterial properties due to which it stops the infection and reduces inflammation and itching. Honey has many kinds in which the most important is Manuka honey which is popular for its best antimicrobial properties. Take raw or manuka honey and dab it gently on the affected part of your nail then leave it for several hours as to make the cuticles soft. Do this remedy on the daily basis. You can directly apply regular honey to prevent hangnails. Avocado contains vitamin E in adequate amount, healthy fats and other nutritional substances and these all help in nourishing your skin. Cut an avocado and scoop out its pulp then mash it with the help of fork. Now mix this pulp in two tbsp. of coconut oil. Apply this handmade moisturizer on your nails. Leave this mixture overnight then wash it in the morning. Do this for four times a week regularly. 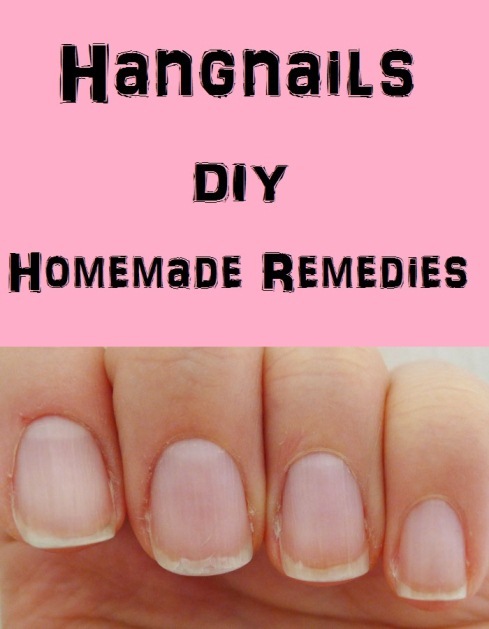 The useful remedy for hangnails is to use homemade cuticle softener for making the nails soft and moisturize. Mix two drops of each of jojoba and eucalyptus oil, now add one drop of tea tree oil and two tbsp. of warm olive oil. This homemade cuticle softener would be rub onto your nails and cuticles then leave it overnight and wash it off in the morning. Drop three tbsp. of olive oil in a small bowl then place it in the microwave oven. Now add one tbsp. of coconut oil or glycerin then mix then together. Heat it again then stir in two drops of an essential oil like eucalyptus or lavender oil. Mixture is ready to massage onto the nails and cuticles then leave it overnight. Almonds are rich in vitamin E so it is a best healing ingredient for hangnails. Along with vitamin E, they also have essential fatty acids that help in reducing the swelling and inflammation. Take a handful of almonds and soak it for all the night. Next morning, peel off their skin and finely grind them. Now add one beaten egg yolk and a little bit of honey in grinded almonds and mix properly. Apply this mixture on the hands and nails before going to bed then put on cotton gloves. Leave the mixture overnight and rinse it off in the morning. Do this remedy few times a week regularly. Beeswax softens and moisturizes the nails as well as strengthens the nails. Beeswax would be combine with oils so it forms a soothing and protective layer on the skin and protect it from tearing. Mix one and one-half tsp of each coconut oil, almond oil and olive oil, three tsp of honey and three tbsp. of beeswax. Place the mixing bowl in a microwave for 10 minutes. After 10 minutes, take it outside then stir a few drops of essential oils like tea tree oil, lavender, and plantain or peppermint oil. Apply this on your nails and cuticles then leave it overnight. Aloe vera is best for all skin purposes. It helps in soothing, healing and moisturizing the skin thus helps in preventing the hangnails. Aloe vera when combined with turmeric, it treats the infected hangnails because these both ingredients contain antibacterial and anti-inflammatory properties. Squeeze fresh aloe vera gel from an aloe vera leaf then directly apply on the hangnails and leave it for as long as possible. Use this remedy daily. Add a little turmeric powder in one tsp of aloe vera gel then apply it on hangnails. Leave this for at least 30 minutes then wash it off. Repeat the process for few days. Yogurt can also be used as a natural remedy to prevent painful hangnails. Yogurt has probiotics that are believed to have anti-inflammatory properties. Also, it is known to be a good moisturizer. Apply plain yogurt on the affected area. Leave it for few hours before rinsing it off. Repeat the process on the daily basis. White clay is mild in nature and is suitable for dry and sensitive skin. White clay is used as an exfoliating agent for the skin because it supplies minerals and heal hangnails. Take one tsp of each white clay and olive oil then mix them together with adding three drops of lavender oil. Massage this mixture onto your nails. Leave it for 20 minutes then wash it off. Do this remedy two times a week on the daily basis. 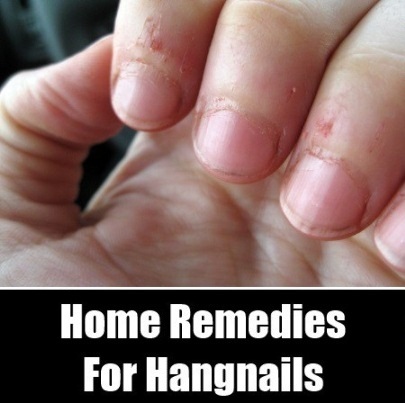 Epsom salt is highly beneficial for treating infected hangnails. Epsom pulls out harmful toxins and reduces swelling and inflammation. In a cup of warm water, add one tsp of Epsom salt. Soak the infected nail in it for 15 minutes. Dry it with gentle hands then apply antibacterial ointment and cove it with a bandage. Repeat the process three to four times a day for three days until your infection is completely cured.